Big thanks goes out to Donald Gregory, for once again sharing his amazing photography skills with us. View the full gallery HERE. Good evening Ladies and Gentlemen! You all look smart and very intelligent from where I am standing. 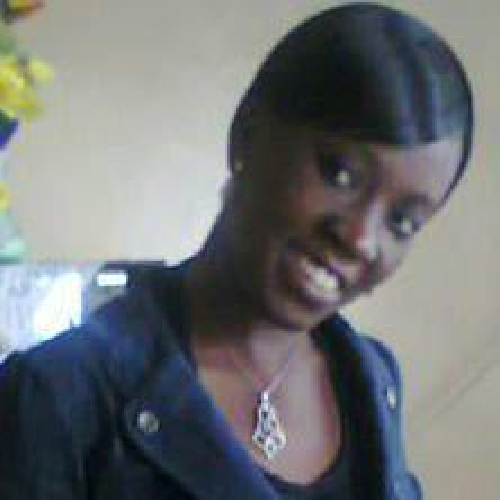 I thank God for giving us life this day and allowing us to be partakers of it. 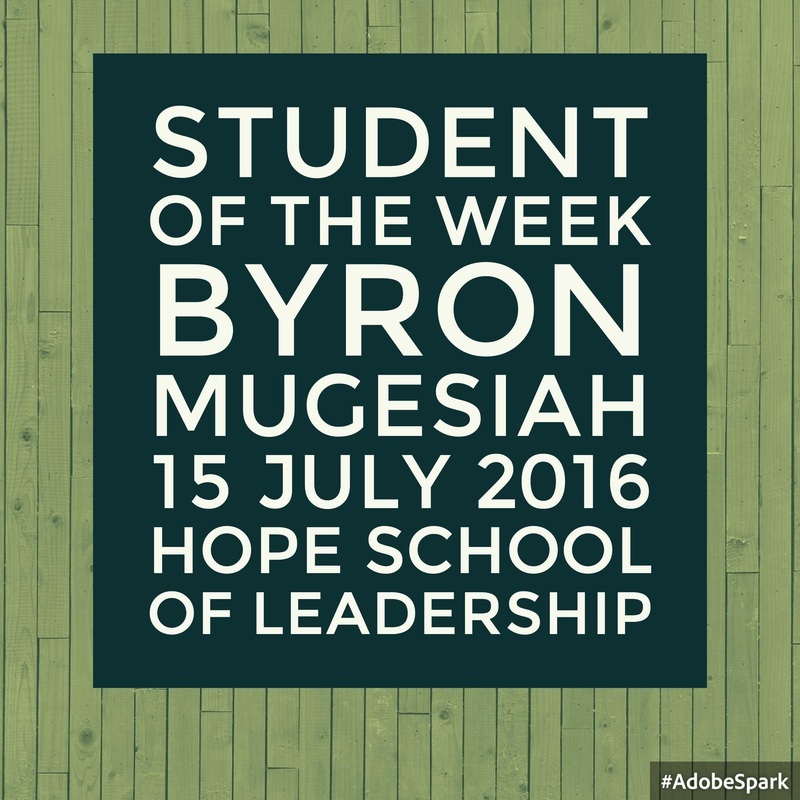 Indeed, it is such an honor to be accorded this opportunity to represent the class of 2017 graduates from Hope School of Leadership. I want to thank my family for being a strong support system, my friends for cheering me on and the Hope school of leadership faculty for always being consistent in following us up, offering guidance and their full support. This has been a journey and you people have made the process worthwhile and our destination closer. 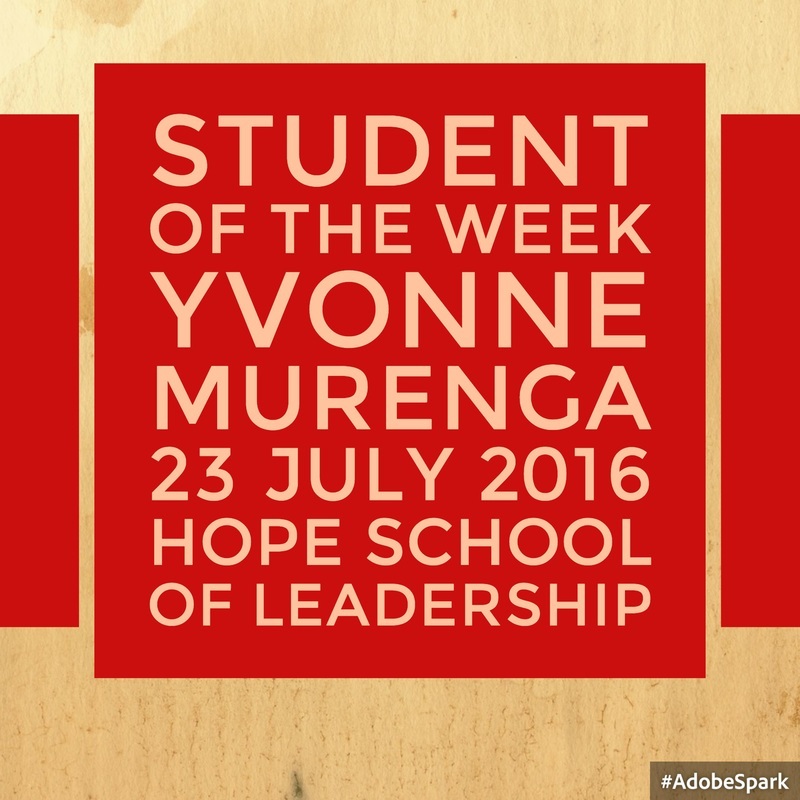 Hope School of Leadership is a good place to be and it gave us a golden opportunity. Getting to study a Diploma course for free is unheard of, the very useful resources and content we received through out our course work and the wealth of information that was at our disposal is indeed commendable. As I took up this course I was already a leader, but what was my biggest ‘WHY’ to committing to this Diploma course? It was not an easy question to answer. I do not know how many of you here graduating today asked yourself this very same question.The answer to ‘WHY’ has to do with purpose and understanding. I believe each one of us here got some valuable life lessons as they sought to find an answer in the process of their journey. The course work we went through encourages introspection. The ability to look into one’s self to analyze and recognize both strengths and weaknesses. Self -observation, self - examination and self - reflection. We then understand why leadership cannot be given, it must be earned and it cannot be taken away, you lose it by lack of performance. We have everything it takes for us to perform. We have built our self confidence, learnt valuable skills, we know what is required of us as servant leaders, and we already have a support network made of all graduates here today. Indeed we have been empowered to succeed and information brings obligation. We have a mandate to undertake as leaders. To ourselves, to the people we lead and to God. In the world we live in today the demand for great leadership is at an all-time high. Leaders who will lead in wisdom and who have the spirit of God in them. 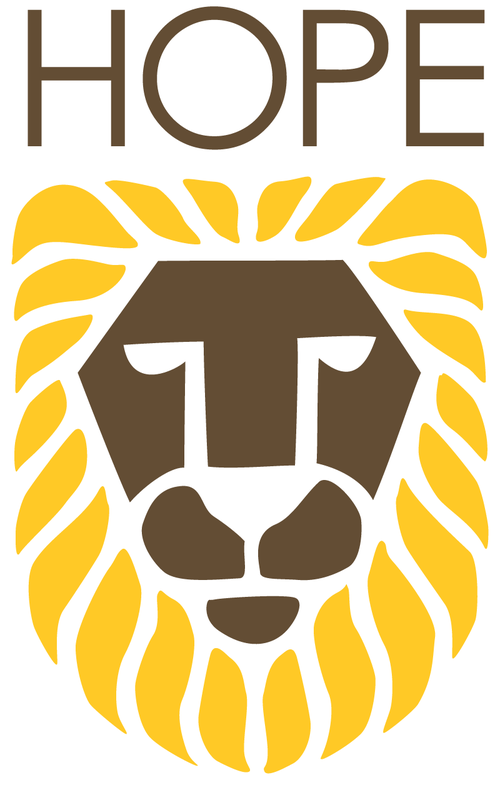 All across the world, in business, academics and government, people want leaders that can be trusted, relied upon and that have a genuine commitment to help solve the pressing problems.We are the leaders of today and we should acknowledge that we are the solution that the world desperately needs. We have made it this far and it is my prayer that we shall be salt and light in this earth and that years to come we shall know you with the fruits that you will have bore for the honour and Glory of God . Let us be the example and people of integrity in all we do. In closing, an unknown author said good leaders are memorable and excellent leaders are unforgettable. Do you want to be good or best? Congratulations class of 2017 and thank you very much!! We are pleased to announce the Salutatorian and Valedictorian honor graduates for the HOPE School Class of 2017. ​We want to congratulate Nataline Olang for being selected as the Class of 2017 Valedictorian and Doricah Okubo for being named the 2017 Salutatorian. These high honors are well deserved and given with great happiness. Please join us in congratulating these two outstanding women. Nataline is 27 years old and has been married to Paul for three years now. Together, they have been blessed with a beautiful baby girl, Rayna Amani who is one-and-half years old. She is an administrator by profession. Doricah is married to Stephen Okubo (a HOPE School cohort 3 student) for 4 years now and they have four children, three boys and one girl. 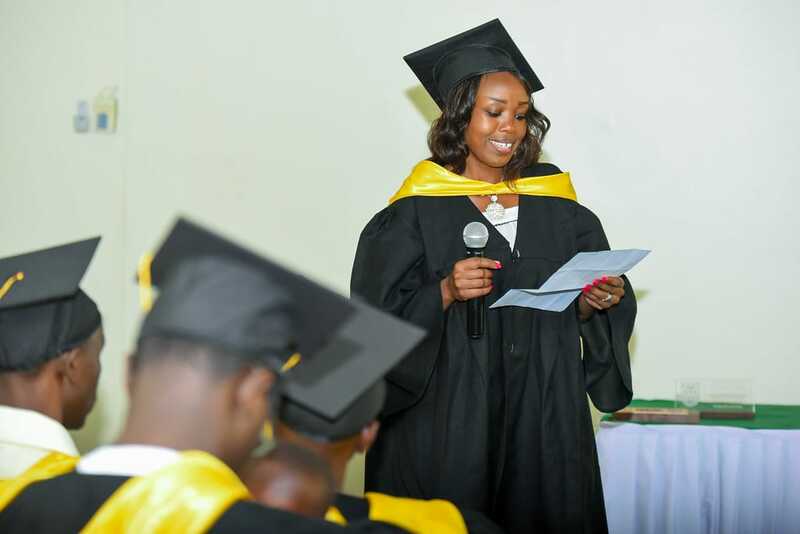 Doricah works for a private education industry called Maarifa Education as an office manager in the HR and finance departments. 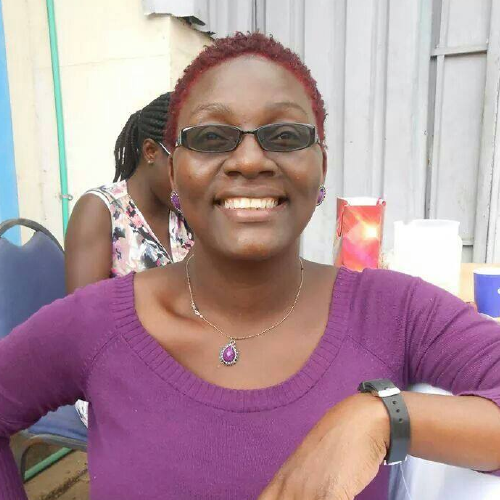 She sings in the church choir and mentors Form 1 to Form 4 secondary children. 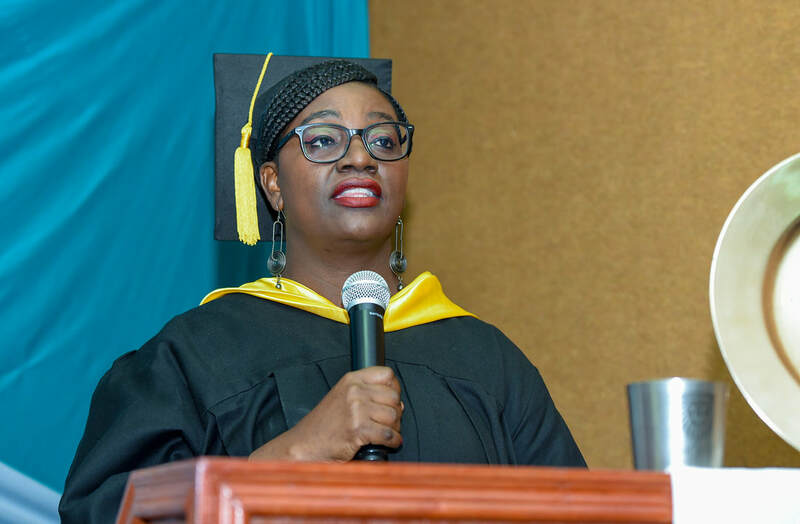 Doricah says, "HOPE School has changed my lifestyle: how I view myself and others, living a Jesus life, being a servant leader, and handling financial matters. 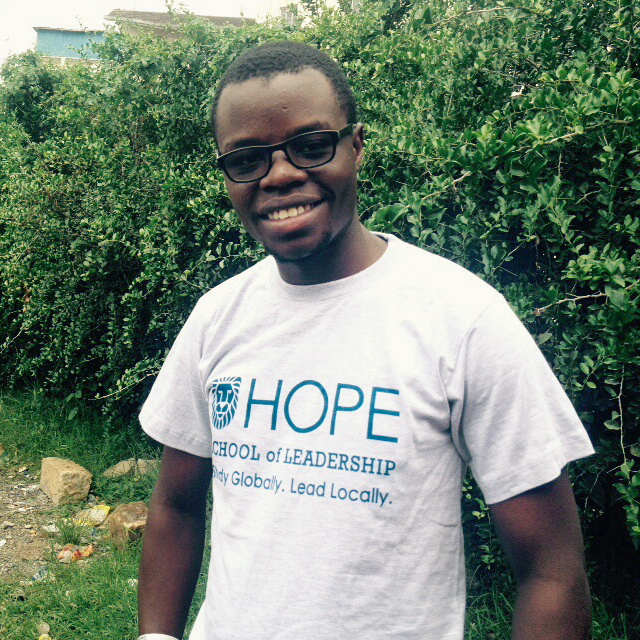 What I have learnt in HOPE School is intense and a reality." 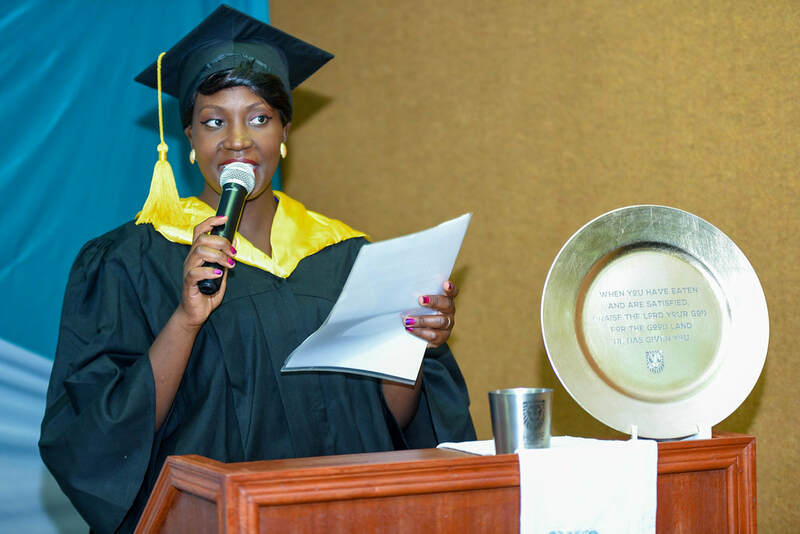 She adds that "this was not easy but by the Grace of God I pulled through." 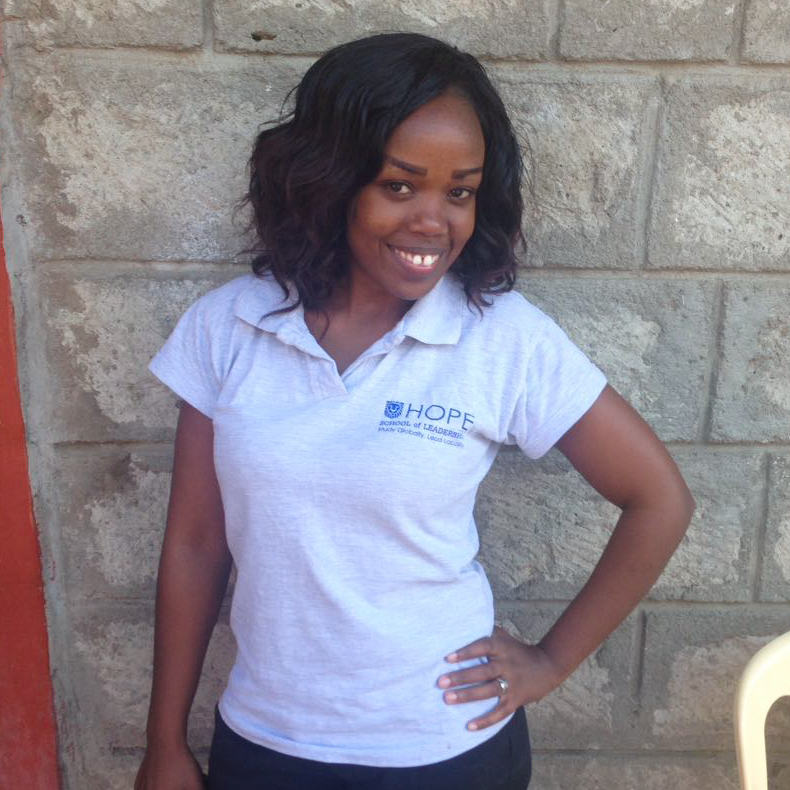 If given an opportunity, Doricah says that she could write a whole book about her two years journey in HOPE School of Leadership. Nataline shares how she managed to overcome difficult circumstances and succeed despite them. She says, "My journey has not been a smooth one and the many challenges I went through almost got the best of me but I kept on pushing and I am glad I did because they made me stronger. When I begun this course I was pregnant and employed, and finding time for the course work was not easy. In fact, finding a balance in my life after I became a mother was a major problem for a while. My house was broken into and my laptop was one of the things that I lost. I also lost a very close friend of mine, I had to resign from my job, and with being a parent now I was faced with house help drama. From the few challenges I have mentioned, you can see I went through quite a lot, but I thank God for His faithfulness and I appreciate the drive that I have had of finishing strong. Please join us in congratulating these two outstanding women, along with the entire graduation Class of 2017. Good afternoon ladies and Gentlemen! It’s truly an honor to be afforded this opportunity to speak and represent the class of 2016. We have succeeded in mastering this challenging course of study and have emerged on the other side victorious and so we need to share our laughter and success with others who have supported and inspired us to keep on going. From our parents, our siblings, our friends and even our workmates. A special thanks to God for bringing us together and guiding us this far. I am not used to speaking in front of a large group as you can tell. I am afraid of all the stares, Afraid of making a mistake when I speak, mostly I am afraid that maybe my words will not inspire people. Every one of us or at least most of us have had this kind of fear. Some of you might have the same fear that I have. The fear of failing. A true leader learns to conquer that fear and rise up. A true leader tells the world that courage doesn’t mean you don’t get afraid. Courage means you don’t let fear stop you. That is why I am standing here in front of all of you to ask you to conquer your fears. Be strong! Be courageous! Be a beacon of hope for others who are staring at you. That is one of my prayer for all of you! Hope school is a very unique school where we develop unique skills. 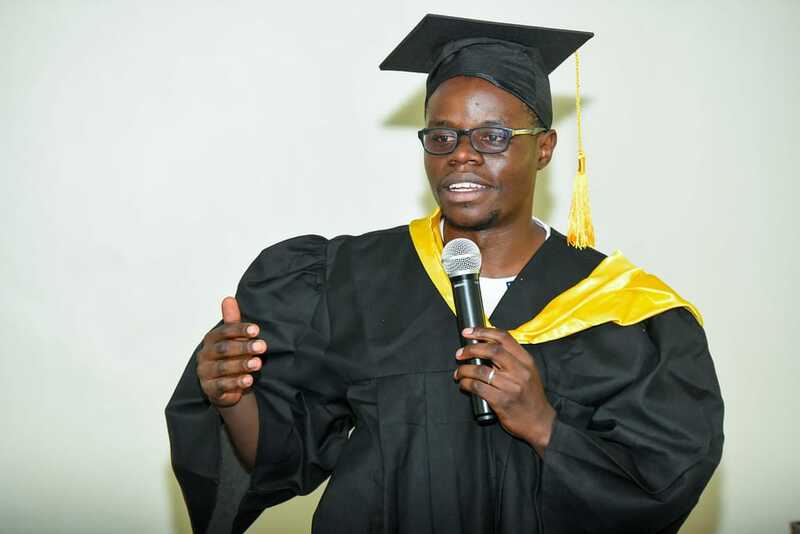 One question that I have asked myself and perhaps would want to pose it you would be, with all of us graduating today does it automatically make us leaders? I believe that leadership is earned not given and I believe all of us in Hope school came in as leaders or aspired to be one. After all who joins a leadership course if you had no intentions of being a leader somewhere! The leader in you has just been molded, modified to fit the world so that with the knowledge you have gained, you can be better, stronger and equipped in God's wisdom and spirit so that you can be a leader of Hope for others. The world today believe leaders should be people with all the power, a lot of money, all the connections with other powerful people and who can influence the crowd or the people to do their bidding. A world where people hide their true feelings and hope that one person will speak up for them knowing all about their lives. As Mahatma Ghandi says, “you must be the change you want to see in the world.” You must be the people bold enough to take the first step from the hole of despair. You must have the courage to be a servant leader even when it’s with your last ounce of strength because the world is changed by your example not your opinion. All in all class of 2016 all Hope school fraternity, stand up tall and know with the diploma you get today, you are making a pledge, a promise to your parents, to your friends, to yourselves that you are going to be a leader, a better leader, a servant leader. ​I will finish with the words of John Quincy Adams, “if your actions inspire others to dream more, learn more, do more and become more, you are a leader! Thank you and congratulations class of 2016. Today is a "special edition" of Student of the Week. Special, first, because this is the last week of our term. Its been a good twelve weeks and all students are happy to be finished. Its also special because our Students of the Week are a husband and wife team. 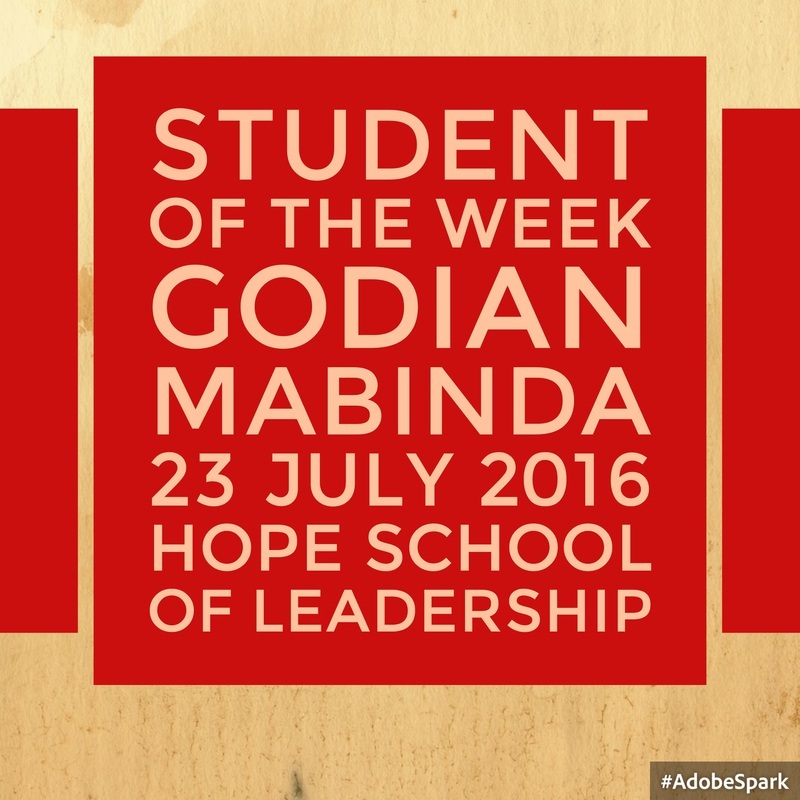 Yvonne (Cohort 3) and Godian (Cohort 2) have been two of our top performers this term. They both have done an admirable job with their assignments while also keeping up with work and family obligations. They set a great example for many with their dedication and commitment to their studies. We want to offer Yvonne and Godian a special congratulations, and also all of our students who have successfully completed another term. We hope you have a wonderful weekend and an enjoyable break before we start the next term in September. God bless! With our term quickly coming to an end, we recognize two students who have demonstrated great dedication and commitment to complete their assignments and finish strong. Even though they had fallen behind, they have made considerable progress to get caught up stay current. 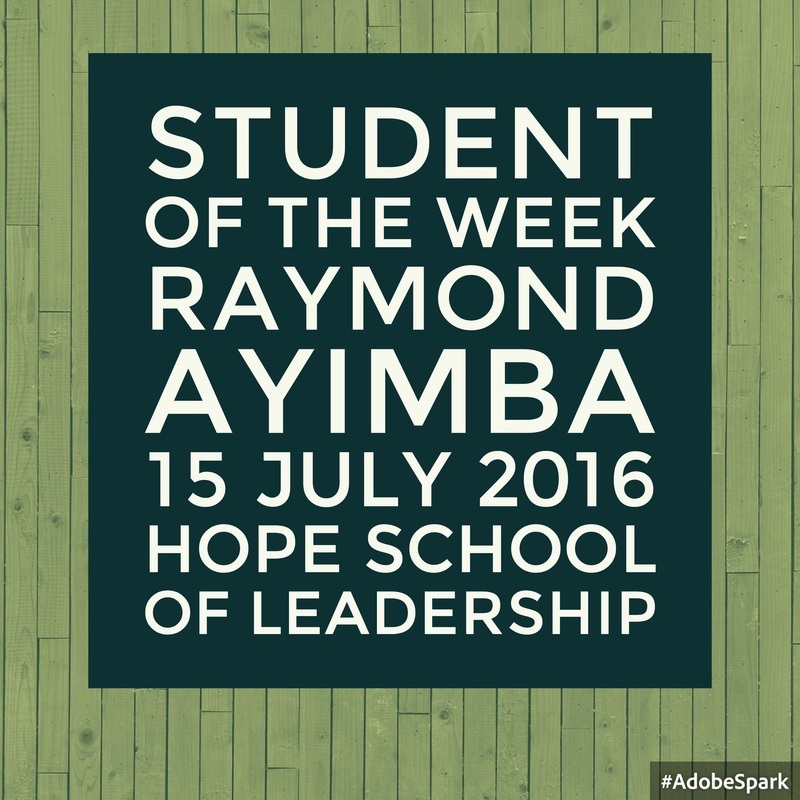 Congratulations to Raymond Ayimba (Cohort 3) and Byron Mugesiah (Cohort 2) for being selected the Students of the Week. We're always proud of those who work and learn, despite the tough situations that may come and go. Job well done, Raymond and Byron. Keep up the good work. For being recognized as Students of the Week, Raymond and Byron will each receive a Safaricom data/voice bundle worth 750KES. Our best weekend wishes to them both and all of our HOPE School family and friends.